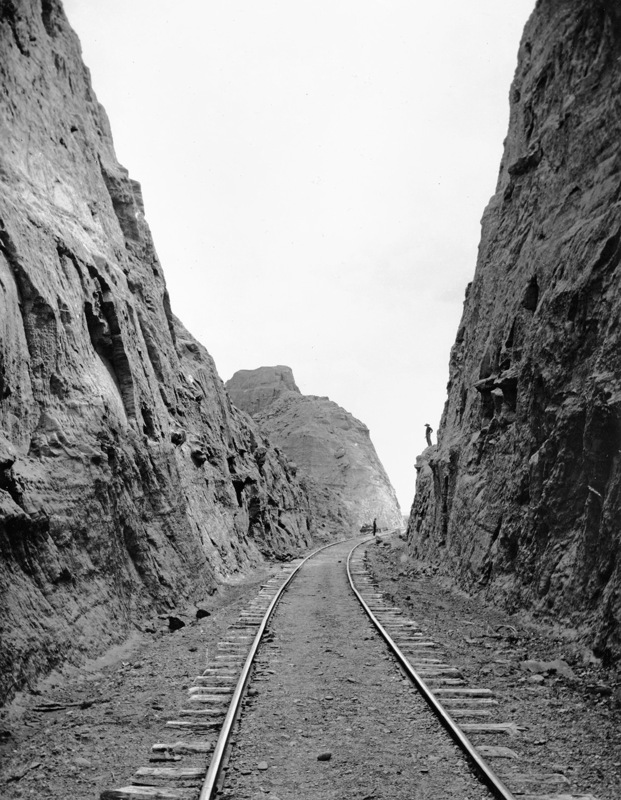 ON MAY 10, 1869, TWO RAILROADS—built with haste, hope, and aspiration—joined in a lonely desert of northern Utah, at a place called Promontory. On that day, dignitaries from both companies—the Central Pacific, which had built from California, and the Union Pacific, which had built from the east—gave speeches and installed ceremonial last spikes. The ceremonies were meant as a moment of self-congrat­ulation, but the significance of the day’s events is far broader. In the ensuing decades, railroad after railroad proposed new, competing transcontinental routes—and sometimes com­pleted them. Their construction swept away the dominance of native tribes, ended the open range, and restructured the West into a network of resources and industries dependent upon clusters of urban centers. 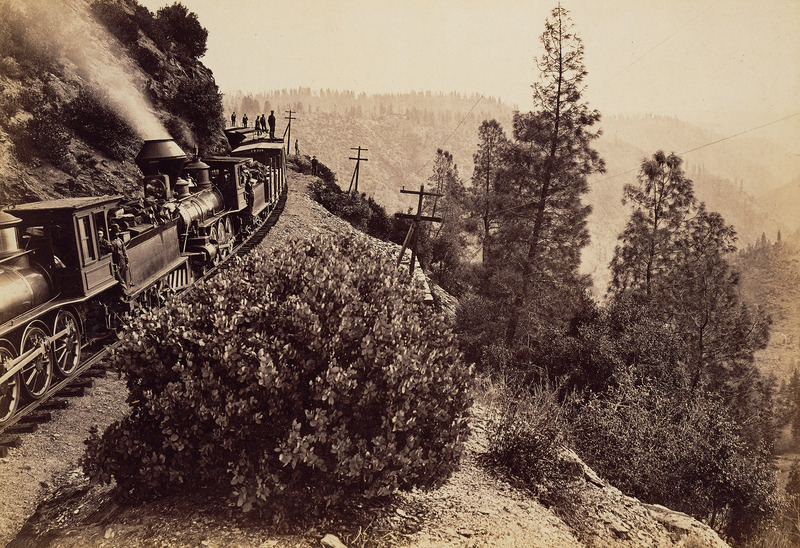 To mark the 150th anniversary of the beginning of this era, the Center for Railroad Photography & Art has launched a special project, After Promontory: 150 Years of Transcontinental Railroading. 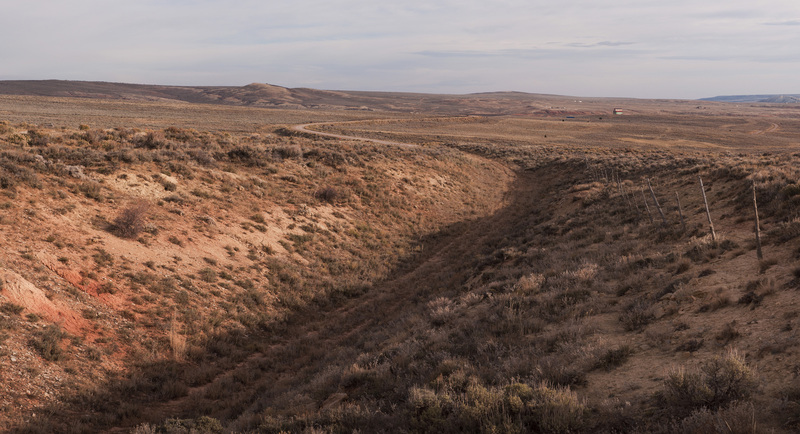 Our initiative includes a book, conference, and traveling exhibitions that examine the significance and lasting impact of the transcon­tinental railroads on the American West. 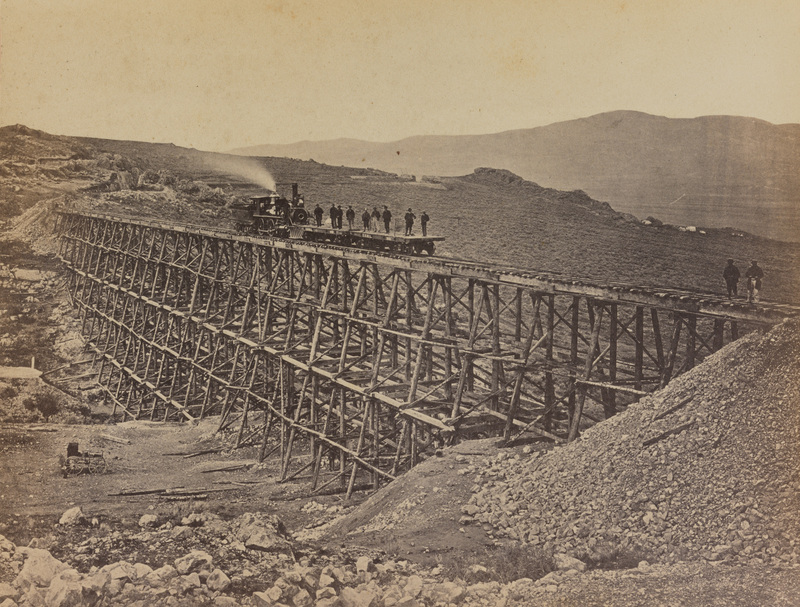 In compliment to many of the sesquicentennial exhibits and events planned throughout the West in 2019, After Promontory takes a wide view, considering the events at Promontory to be the start of a larger phenomenon, an entire era of transcontinental railroad construction that stretched for nearly fifty years. At its core is the assertion that, collectively, the transcontinental railroads profoundly reshaped the human geography of the West, giving birth to the region we recognize today. Buy the book. The Center has partnered with Indiana University Press to publish a lavishly-illustrated hardcover book. Available March 1, 2019, the 10×10-inch book features 240 photographs and five scholarly essays in 320 pages. 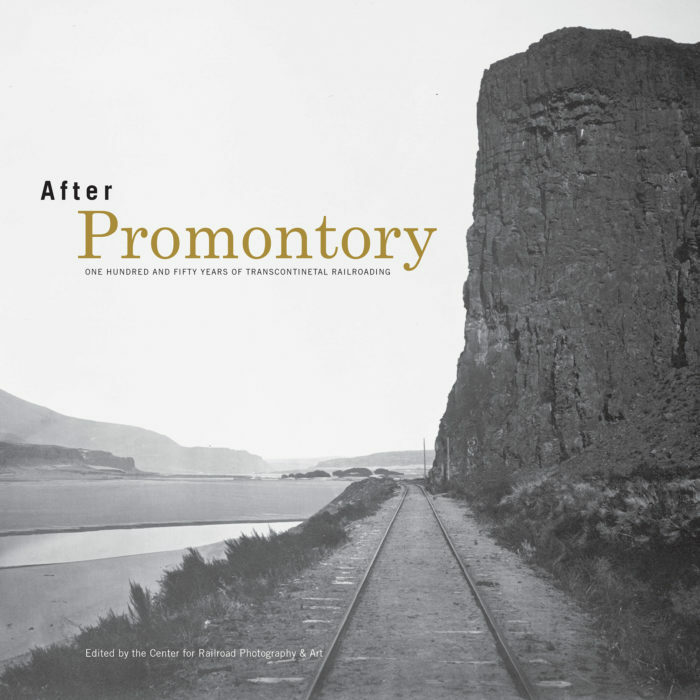 PHOTOGRAPHY IS After Promontory’s literal and metaphorical lens on the transcontinental railroad boom. 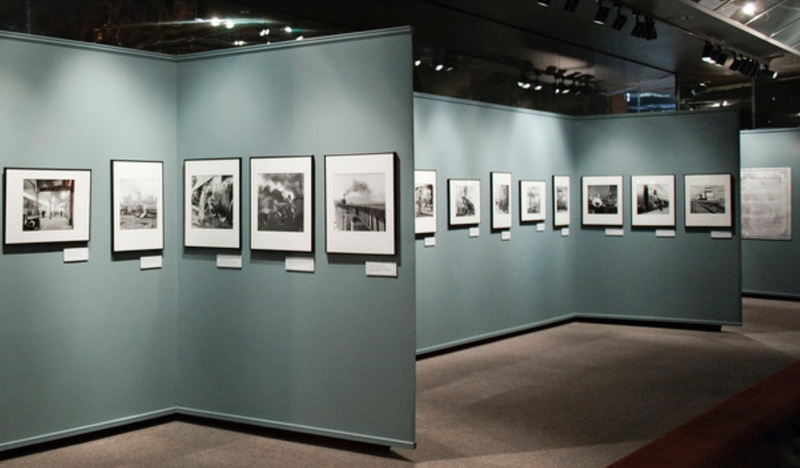 Both the book and the exhibition feature period photographs by some of the most ac­complished photographers in the nation’s history, artists such as William Henry Jackson, Timothy H. O’Sullivan, and Car­leton E. Watkins. Their photographs were often created with the sponsorship of the railroads, whose leaders saw photogra­phy as a medium suitable for lobbying a distant population (and distant political leaders) on the need for public support and assistance. Also included in the book and exhibit is recent photogra­phy from artists who explore the lasting impact the railroads have had on the landscape, both to the benefit and the costs of the region. At stake in all of these images, both period and more contemporary, is not only the railroad itself as a subject, but how photographers of different eras, with different motivations and different sensibilities, have thought of the transcontinental railroads and their legacy. 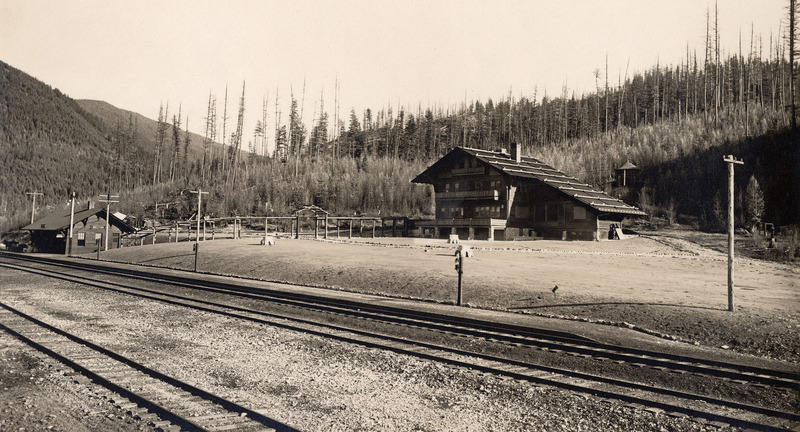 Expanding on the visual themes in the exhibit, the book offers a deeper look at the circumstances, histories, and impacts of the railroads that came to connect the Midwest with the Pacific Coast. Essays by railroad historians Keith L. Bryant, H. Roger Grant, Don Hofsommer, and Maury Klein add context and depth to the 240 photographs featured in book. Robert D. Krebs, who served in the executive offices of railroads in all three regions, including as chairman and CEO of the BNSF Railway, wrote the foreword. Photographer Drake Hokanson, in the book’s concluding essay, reflects on photographing the transcontinental railroads then and now, and what these images can teach us. Support this project. You can help the Center mark this milestone in railroad history by making a special gift to support After Promontory. and our members and volunteers. To everyone who has donated to this project, our sincere thanks.